Islamic State is smuggling fighters into Europe, commanding them to disguise themselves as refugees, according to a Libyan government adviser. 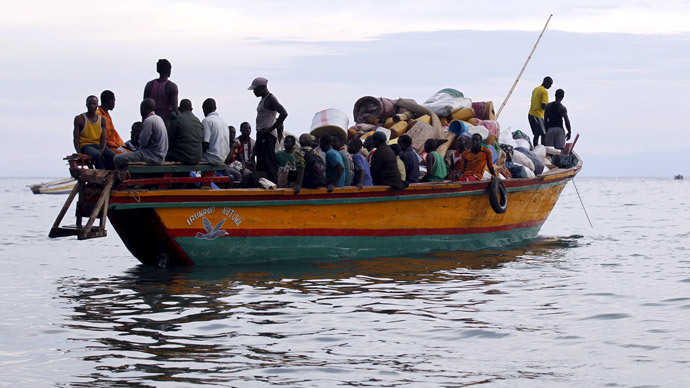 The militants are reportedly profiting by 'taxing' those operating the overcrowded boats. Abdul Basit Haroun told BBC 5 Live Investigates programme that the boats are used “for their [the Islamic State's] people who they want to send to Europe, as the European police don't know who is from IS and who is a normal refugee or not.” The militants are reportedly being aided by trafficking gangs who operate in parts of North Africa controlled by the Islamic State (IS, formerly ISIS/ISIL). According to Haroun, the IS is pocketing a significant amount of cash from each journey, as it demands half the profits from those operating the boats. “The IS, what they are doing, they are not controlling the boat. They give permission for the boat owner to use the spot under their control and they charge them for that 50/50 of whatever they make,” he said. Similar concerns have been echoed by the Global Initiative Against Transnational Organized Crime and other organizations, though others aren't convinced the militant group is indeed sending its fighters to Europe on refugee boats. "I have heard some other people say that this is potentially happening, so I can't totally discount it. But I am still very skeptical – why would they bother trying such a risky route? "said Raffaello Pantucci from the Royal United Services Institute (RUSI), a think-tank engaged in cutting edge defense and security research. The journey from North Africa to Europe is an extremely dangerous one, with 3,500 people dying during the journey in 2014 alone. A total of 1,800 have died so far this year – a 20-fold increase from the same period last year, according to the UN Refugee Agency. European ministers are meeting on Monday to discuss plans for military strikes against migrant boats before they can leave North Africa.